Thousands of people regularly search ‘where to buy good wigs online’ online without getting any proper answers to their query. Since the hair replacement industry is so huge and there is no dearth of content out there, people usually end up confused. That’s why we took the time to plan this detailed blog. If you have been Googling ‘best places to buy wigs’ or ‘where to buy good wigs online’, then, this blog is going to be beneficial for you. After undertaking thorough research, Team Lordhair have developed this in-depth buying guide covering all the good places to buy wigs online. So, go on and read the full blog for the best tips and ideas of where to buy awesome and natural looking hair systems and wigs online. There are so many places on the internet where you can find wigs and hair systems that it is very easy to get overwhelmed. While buying wigs from mega online stores is quite popular, people have also started buying directly from leading hair systems manufacturers and suppliers. While these are the two most popular options, we will introduce you to some others as well. Hair system manufacturers and suppliers cater directly to people struggling with hair problems. Besides high-quality customized hair systems, competitive pricing, and unmatched after-sales support, top hair system brands like Lordhair also bring welcoming discounts for first users and repeat customers. Top hair system manufacturers and suppliers have a large hair systems catalogue which automatically makes them the best places to buy wigs and hair systems online. Social media is quickly evolving as a sales channel, especially on platforms like Facebook, Instagram and Pinterest. 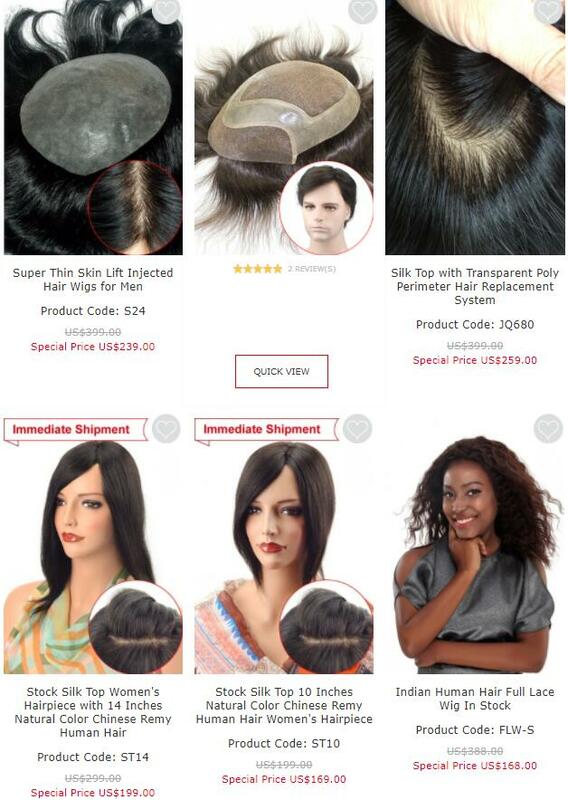 Established hair system suppliers and e-commerce stores maintain social catalogues on top social media sites to connect with people interested in wigs, toupees, and hair systems. At Lordhair, we also use channels like Instagram to lend support to customers, introduce special discounts, and assist them with queries. Mega online stores like Amazon, Alibaba, and Aliexpress also sell wigs and toupees. Since such marketplaces are not entirely dedicated to non-surgical hair systems, they are not usually considered the best places to buy wigs online. However, they still offer a decent collection of ready-made wigs and hence deserve a mention. Since people are not sure where to buy wigs online and there is a huge search for them, people also use blogs, social accounts, and forums to sell hairpieces. Such channels don’t provide a secure payment process and can’t always handle your personal information. That’s why we don’t recommend these places as one of the best places to buy wigs. Now that we have underlined the top channels where we can buy good wigs online, let’s quickly go through a few points that will help you to buy the best wig online. Buying wigs and hair systems can be complex, considering you have to judge quality, work out the best pricing, find a reputable supplier, and guarantee support after purchase. That’s why we’re going to introduce the best wig buying tips and ideas. Big marketplaces don't own any products. They host sellers and manufacturers that sometimes carry shipping limitations or charge an exuberant shipping price. Buying from such places also make after-sales support a headache. 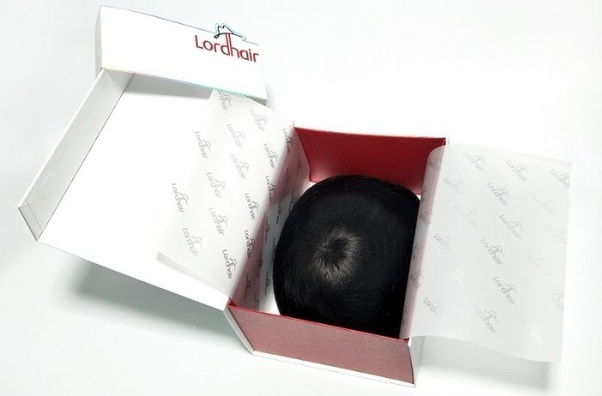 At Lordhair, we offer free shipping worldwide, covering over 100 countries including Europe, North America, Oceania, Asia, South America, Africa and more. Custom designed hair systems are in huge demand because customers nowadays prefer hair replacement systems that perfectly match their own requirements. Custom hair systems come with services like professional cut-in, styling, and sometimes even maintenance. That’s why it can best to buy wigs and hair systems that offer customization options. This is one of the basic things people ignore when they buy wigs and hair systems online and as a result they end up with low-quality products. Discussing your requirements with a reputable hair system supplier will give you insights that will help you to place the right order and get the best value for your money. Online stores managed by hair system suppliers with a global reputation and presence are certainly the first place to begin when you’re considering where to buy good wigs online. hair systems and after-sales services. Check out what Quorans have to say about Lordhair products and services. Price is a crucial factor when buying hair replacement systems online. Some hair system suppliers offer high quality wigs but they come with a big price tag. That’s why we recommend comparing the price, adding up the delivery charges and miscellaneous costs to see if you are getting value for your money or not. High quality hair replacement systems are priced higher than stock wigs and toupees but make sure you don’t end up spending thousands of dollars on just one hair system. Search ‘where to buy wigs online’ and you get thousands of results. The results may vary from buying guides to Youtube channels. The key here is to find resources that bring before-after videos, customers feedback, product reviews, and much more. These resources will also introduce you to the best places to buy wigs, toupees, and hair systems. Lordhair's official YouTube channel has more than 100 videos on how to use hair systems, how to order wigs online, comparison videos, DIY guides, stock product reviews and much more. Now, that we have answered the question ‘where to buy good toupees on internet’ and also listed the best places to buy wigs, let’s quickly underline the difference between wigs and hair systems. People often get confused between hair replacement systems and wigs/toupees. The fact is all are often used interchangeably as they have been in this blog. All terms are solutions for hair loss but technically, the products do vary somewhat in nature and experience. The biggest difference between wigs and hair replacement system is customization. Unlike hair systems, wigs are not customizable. You can easily spot an ill-fitted wig or toupee. But that's not the case with hair replacement systems. Top quality hair systems are made of 100% human hair or high quality synthetic fabric and designed especially for the wearer. There is no need to remove a hair replacement system every night. In winter (no-sweat conditions), they can be worn for weeks. Also, it is perfectly safe to go for a swim with a hair system on. The same cannot be said for a regular wig or toupee. In short, hair replacement systems are better and more practical non-surgical options for your hair loss problems. A vast portfolio of high-quality hair replacement systems, competitive pricing, special discounts, and unmatched after-sales support are the reasons why Lordhair's non-surgical hair systems have made a name amongst people struggling with hair loss due to ageing or medical conditions. Our team of hair experts design every custom hair system with great care and attention and make sure every customer gets exactly what’s required to gain confidence from a full head of hair. Still confused about which hair replacement system is perfect for you? Then share your wig and hair system related queries with our experts. Send an email to support@lordhair.com or simply call +86 532 80828255 to connect with us! We guarantee you the best consultation and offers.